We've been telling you about the rising music scene in Brooklyn and here's another great example. 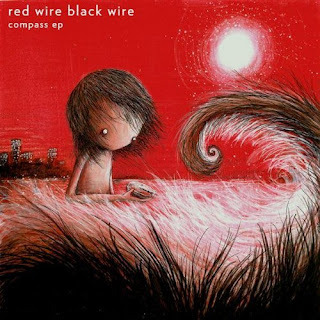 Brooklyn based electro-pop band Red Wire Black Wire released their debut EP Compass earlier this year and then in November re-released it with an added new dance stomper 'Locked Out'. Love their music! They're a mixture of electro-pop and indie pop that is pretty delicious and hard to resist. Heard samples of the whole EP on amazon and there's not a bad one in the bunch. I'm gonna keep an eye on these guys. Hopefully a debut album to look forward to 09! They just did a live set on BTR yesterday - I think. They're playing in NYC tomorrow night for sure. Sweet!